Hello lovelies, so I was very lucky to receive some toys as a sneak peak before they hit Flairplc 2nd July! Well I say I we both know they're for Oscar and Lawson and they are in love with their new toys. Oscars favourite is the 'Kions toppling rock wall' even though he says all of them in the little video I have for you below, he hasn't stopped playing with it since we received these toys. 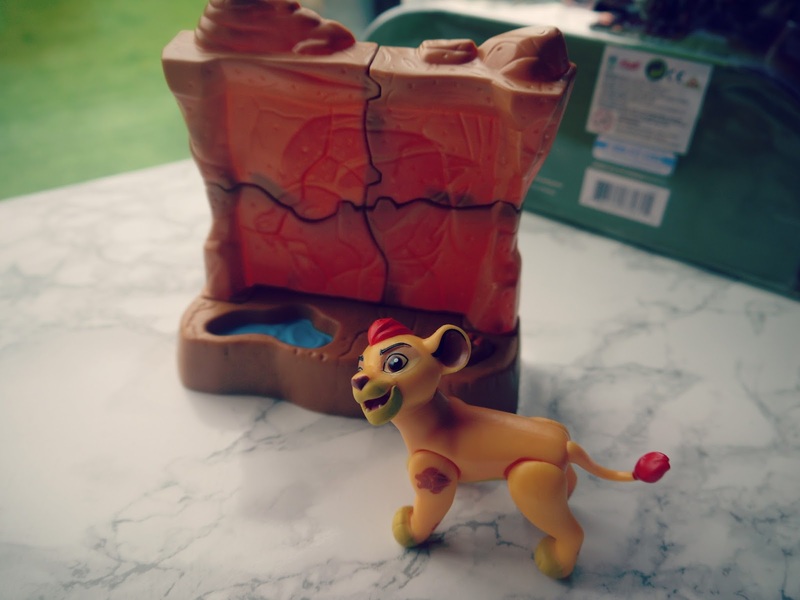 Oscar is already a fan of the TV programme on Disney Junior of Lion Guard so was so happy when I told him we were getting some toys to test out of them. Lawson doesn't watch TV but was very hands on and vocal when I put the toys on the coffee table, the most vocal he has been may I add. 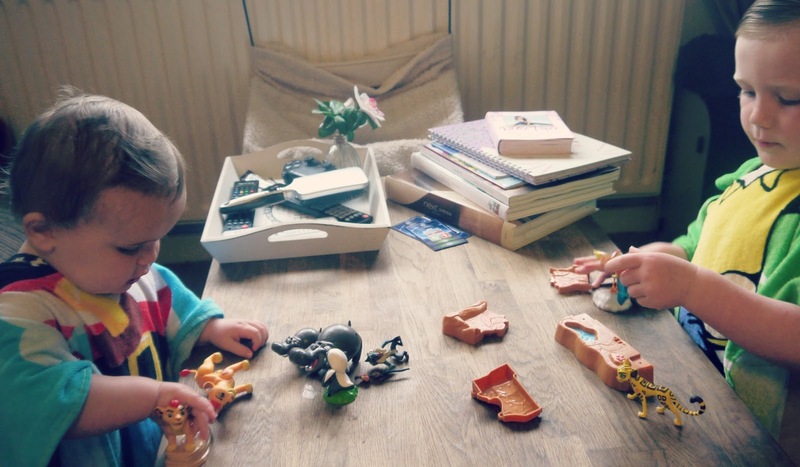 He loves his figures, I know you have to be careful with young children and figures but I am always with him when he is handling them, although these are very well made figures with no little bits hanging off he could choke on. Mini Figures £2.49 - I think this is a decent price for what you get inside the packet, well detailed and made figures that would look lovely on a shelf to display or obviously great to play with because what kid wants a toy on a shelf? Maybe if you get a copy! Collectable figure set £12.99 - Again very good priced, a lot of figures together in other stores are at least £20 plus, they are not flimsy things they have some weight to them and the detailing is beautiful. Kion toppling rock wall - £9.99 - Oscars favourite out of all the toys, I think this is a brilliant toy because its great for their eye and hand co-ordination, learning to build things and the fun of pressing that button to make it break! Then do the fun all over again. 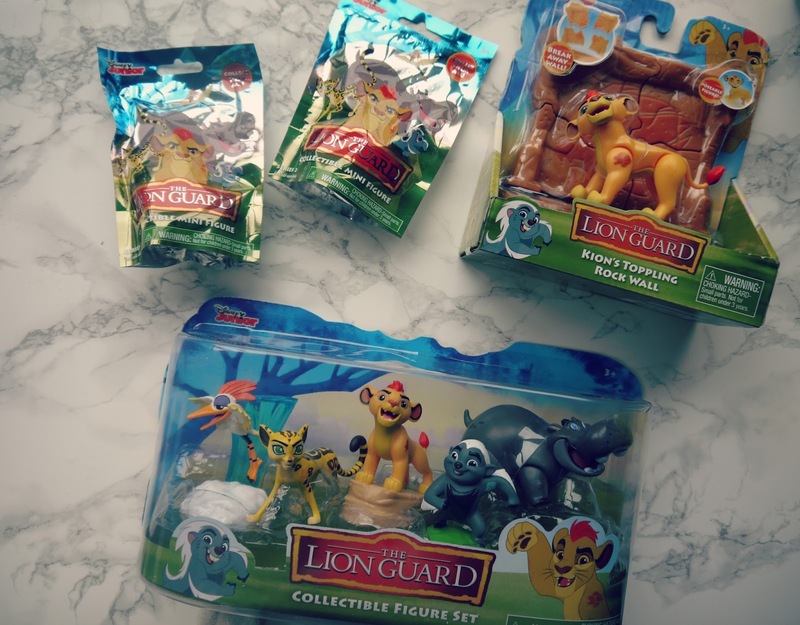 If you and your children are a big fan of the Lion Guard then join us on Twitter July 6th at 1pm using the hashtag #lionguardtoys! Don't forget these lovely new toys will be available from July 2nd, your kids are going to love them. 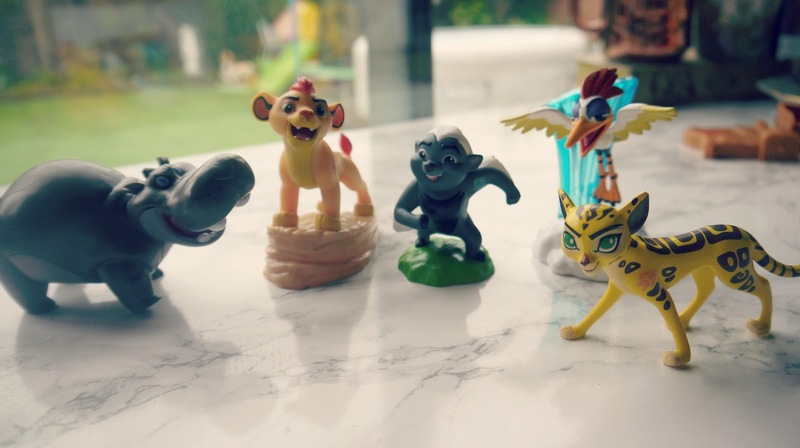 Aww, I have a little one called Oscar as well <3 He's never watched The Lion Guard but he keeps asking for the toys so I think he must have seen them on YouTube or something! !